Better Ice: A New Hope, or Nope? Update note: Use a glass with angles, i.e. not perfectly round, for best results. Bourbon Evangelists, a new dawn has come for bourbon on the rocks, er, rock, er, slant! In our unending quest for better ice, we made a post some time back about how to make clear ice, and this follows right along the same lines: How to make your whole bourbon drinking experience even better not just by occasionally using ice if desired, but by using better ice. Clear ice certainly adds to the sophistication, but what about slanted ice in the glass? Will that improve anything, or will it detract from the water of life? A new product is currently being marketed to whiskey enthusiasts who want their bourbon cold without it getting watered down: The Whiskey Wedge by Corkcicle. Their website, a few ads, and a few friends inspired us to try our own slanted-ice glasses and report what we found to our fellow Bourbon Evangelists. The theory is that it melts much slower than cubed ice, and therefore won’t water down your drink as much. We here at Bottom of the Barrel have taken it upon ourselves to see if these claims are true. Will ice slanted such as this work as advertised, or is it all hokum? Choose your favorite Old Fashioned/Rocks glass. Fill it a little less than half full of water. Wait patiently for a few hours while it freezes completely. It’s a good idea to set a couple glasses like this up in the morning so they are ready at night. And trust us, you’ll want to make more than one at a time. Watch the second hand on the clock at work tick by slowly, then drive home normally. Get one of the now totally frozen slanted ice glasses out of the freezer and pick out your favorite bourbon (a high proof bourbon is recommended, but try what you like!). Pour a good 1.5 to 2 oz for a full test run. Drink as you normally would, or at least try. We’ve found it gets your bourbon very, very cold, and it does indeed have less of a watering down effect than with regular ice cubes. Some of the alcohol burn even seems to be taken away just due to how cold it is. This has the end effect of increasing your drinking velocity, so be careful, and don’t over do it! 1) Ice cold bourbon without watering it down significantly. 2) It looks pretty darn cool. 3) No more ice hitting your teeth/face every drink (it stays put), so you don’t have to decide to eat the ice or spit it back in the glass like the slob you are. 4) It’s also fun to use gravity to your advantage for once instead of gravity always just holding you down. 1) It’s ice cold which can and does mask some of the flavors. 2) The glass is really darn cold and frosty, which may or may not be desired. 3) Prep time (you have to plan in advance which is difficult for men especially). 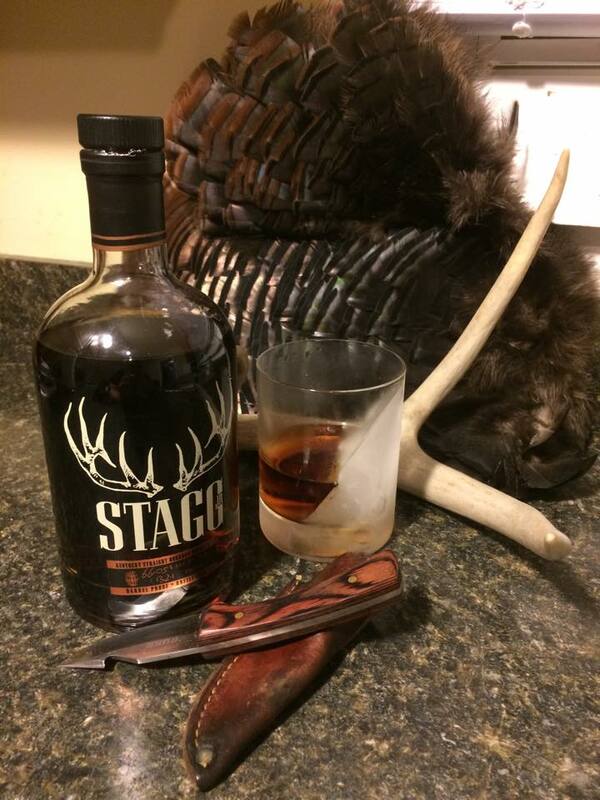 4) If you prefer your bourbon to mellow with some ice, then this might not be the best way to drink it. 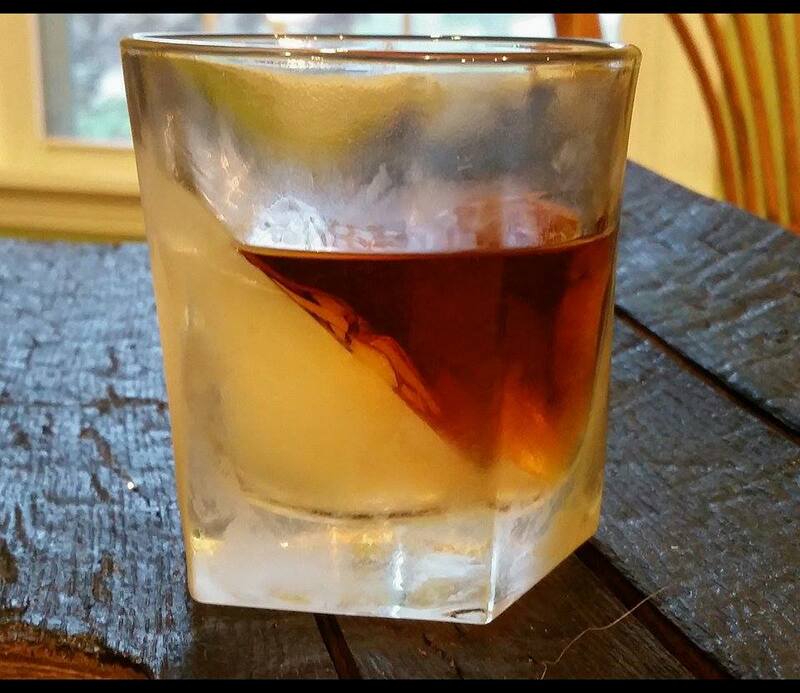 The end result is that slanted ice like this does make your bourbon colder and less watered down than most regular ice cubes. If you have large cubes, this might not be much of an improvement. 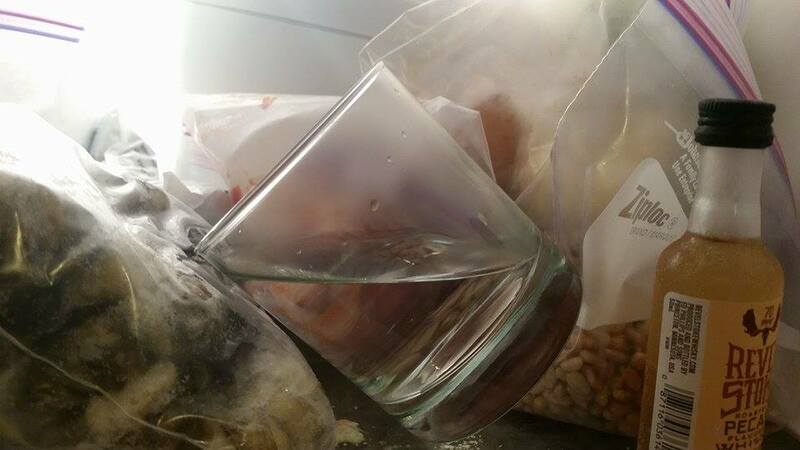 If you make home made clear ice (our instructions for making clear ice) then you may or may not even be interested in this slanted ice shenanigans. For me, I’m going to experiment a little more with this, but I don’t see this as being my preferred drinking method. Try it yourself, and let us know what you, our loyal Bourbon Evangelists think! Last photo credit: Chas Jones, Esq.